With exterior styling that's guaranteed to catch the eye, the Citroen C3 Picasso is not a car to be overlooked. The sweeping curves at the front contrast with the model's square rear, while playful styling gives it plenty of character and a keen sense of fun. Inside you'll find a practical and stylish space that's a pleasure to spend time in. 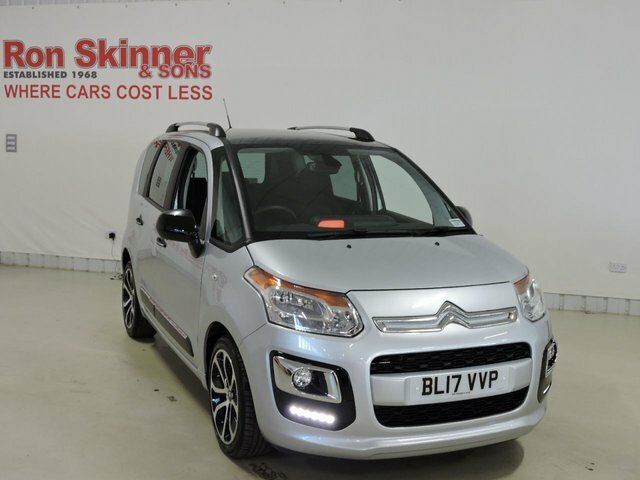 You can take a closer look at the used Citroen C3 Picasso models for sale in Haverfordwest here on our website, but don't forget to pay a visit to the showroom and test drive the vehicle of your choice. Feel free to contact a member of the team at Ron Skinner & Sons if you require further information or would like to discuss your specific requirements.